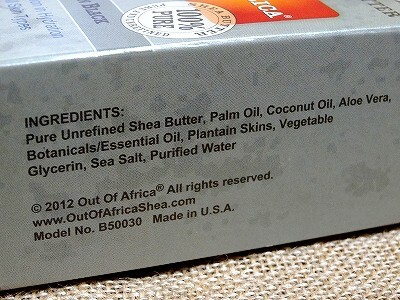 Ingredients: Pure Unrefined Shea Butter, Palm oil, Coconut Oil, Aloe Vera, Botanicals/Essential Oil, Plantain Skins, Vegetable Glycerin, Sea Salt, Purified water. 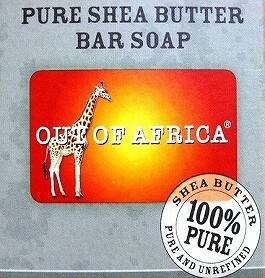 Made in U.S.A.
All Shea Butter Bar Soaps are not created equal. 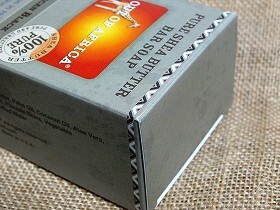 Most others contain only 1 or 2 percent shea butter. 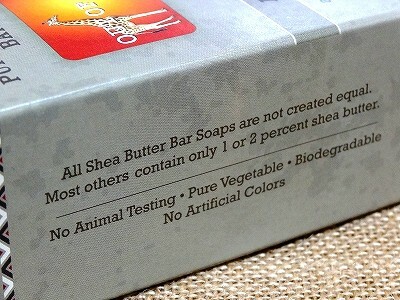 No animal testing. Pure Vegetable. 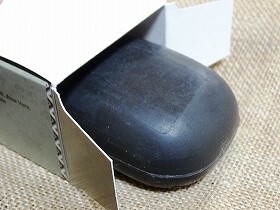 Biodegradable. 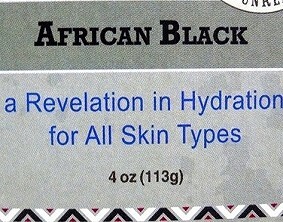 No Artificial Colors. 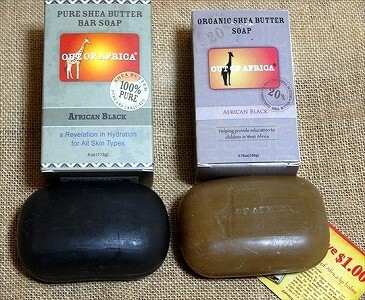 Out of Africa bar soaps contain 100% pure unrefined shea butter that helps keep moisture & healing properties intact. 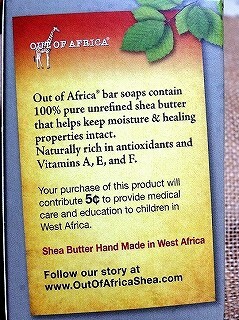 Your purchase of this product will contribute 5cent to provide medical care and education to children in West Africa. 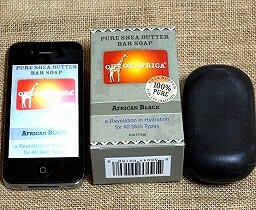 Shea Buttter Hand Made in West Africa.